"Is it time to replace my roof?" Just as the human body ages and changes appearance over the years, so too will your roof. Due to the severity of the roof environment, even a one-year-old roof may look different from a roof that was just installed. While you may have first noticed the cracks or blistering from the ladder as you were cleaning the gutters, please be mindful that these normal weathering characteristics may not be visible when you view the roof from your front lawn or driveway. And if the problem is not severe and the shingles are still providing the protection intended, then it is not a cause for alarm. 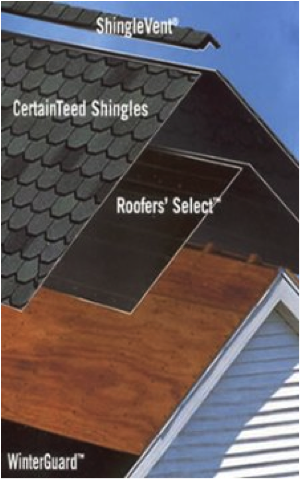 Even a one-year-old roof may look different than a roof that was just installed. Your roof is an important investment, since it literally protects you from the elements. While there are no magical creams or ointments to prevent your roof from aging, investing a small amount of time to examine your roof can reduce your anxiety and concerns about the normal aging conditions that affect it.